Early this week the second anniversary of the intentional torching of the church Gov. Palin’s family attends passed with little or no notice by the lamestream media, which never gave the chilling crime much attention to begin with. On the evening of December 12, 2008, the church was damaged by a fire which caused an estimated $1 million damage to the church building. An investigation by the Bureau of Alcohol, Tobacco, Firearms and Explosives several days later confirmed that the burning was a case of arson, as accelerants were found in a number of locations on the church’s exterior, including around entrances and exits. Several people were inside the structure at the time, but all were able to escape the fire unharmed. Though several federal, state and local agencies were involved in the investigation, no arrests have been made, nor have any solid leads been announced. The media reported the fire and the subsequent determination that arson was involved, but quickly lost interest in the story. If, God forbid, it had been a church the Obamas attended that had deliberately been torched with no arrests or leads produced in even the first few weeks (let alone two whole years), the media would be screaming in outrage that a “hate crime” was being allowed to go unpunished. The press would have demanded the scalps of the authorities who failed to solve the crime and punish those responsible. This is not the first time that the extreme left has called for physical harm to be inflicted on the former Alaska governor, up to and including the crime of murder. A number of death threats have also been made against Sarah Palin and her family over the past two years. Ironically, the left has claimed, without producing a shred of real evidence, that Gov. 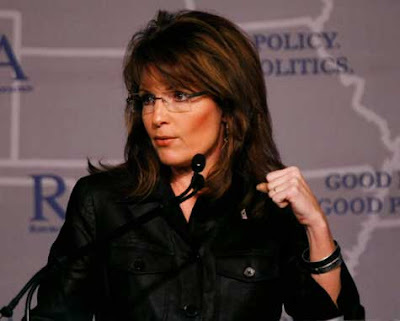 Palin “incited violence” in her stump speeches as a candidate for vice president in the 2008 campaign. As is always the case, upon close examination, it is the left which is doing exactly that which it claims its enemies are doing. Again, the “tolerant” and “compassionate” left reveals its true nature. 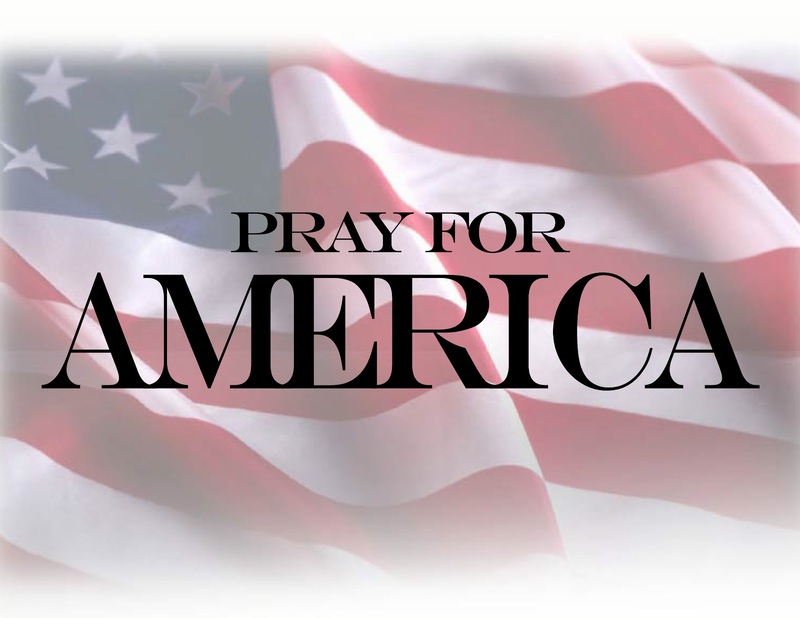 Please pray to the good Lord to continue to protect Sarah Palin and her family from all harm and evil. David Kernell was arrested in 2008 for hacking the former Alaska governor’s e-mail. He recommended that Kernell serve his time at the Midway Rehabilitative Center on Magnolia Avenue in Knoxville, but that will be determined by the Federal Bureau of Prisons. The judge also sentenced Kernell to three years probation. Kernell will turn himself in at a later date. Defense attorney Wade Davies had filed motions seeking probation at the sentencing, contending Kernell used publicly available information to guess his way into the e-mail in a prank. Prosecutors said the hacking was motivated by Palin’s status as a governor and candidate for vice president. Last spring, a federal jury found Kernell guilty of obstruction of justice and unauthorized access in the breach of Sarah Palin’s e-mail this April. 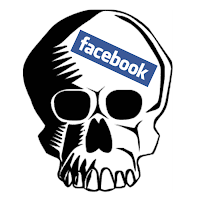 He gained access to her account in September 2008. A former University of Tennessee student, Kernell described himself on his Facebook page as an “Obamacrat.” He was a member of UT for Barack Obama. Sales of this book have been called unprecedented. HarperCollins, the publisher ordered 1.5 million books for it’s first printing. Within hours of being available for pre-order, the book was number one in sales over at Amazon.com and Barnes & Noble. Think about that, the book is still in final editing, won’t be available for a month and a half, and didn’t even have a finalized dust jacket at the time! By any measure one can think of, Sarah’s book is an unprecedented, incredible success. But my favorite is “she didn’t write it.” The liberals and GOP elites use this same stupidity every time she writes an effective Op-Ed or Facebook post. It’s actually a pretty good complement if you look at it. Her writing is just that effective! It scares them so much, they have to make something up to explain it away to the uneducated and uninformed. Supporters of Palin don’t even get mad at that silliness anymore, instead we laugh at the liberals and GOPers for being THAT stupid, and THAT petty. Now what really has the liberals, communists (same thing really) and GOP elites chattering is the fact that Sarah used a COLLABORATOR to help her with her book. Oh the horror! Truth is, pretty much everyone who isn’t a full time author, and many who are, work with someone to help them put their books together. Even the very best of writers have editors to deal with. It’s a simple fact of the publishing business. Look at any book by a business leader or other popular figure, they are all written “with” someone. I’ve read dozens of great business books by top leaders like Lee Iaccoca, Jim McKay, and Bob Lutz, all were written “with” someone. Then we get into the “ghostwritten” ones. Most politicians and celebrities go this route. Someone writes their books, for a fee. Some use notes from the person the book is about, some just make it up as they go. But “ghostwriting” is pretty common, in the business. First we have the best selling “Profiles In Courage” the bio of President John F Kennedy. Although he is listed as author, we now know the book was written by his speech writer, Ted Sorenson. Sorenson was one of the Ford “whiz kids” who followed McNamara over to the White House. Hillary Clinton didn’t write her big policy book “It Takes A Village.” Barbara Feinman did for a fee of $120,000. “Ghostwriting,” however, is very different than having a collaborator. A collaborator means just what it sounds like. You have someone to help you structure it. To put it together. Again, even profession writers will have some help. For this job, Sarah chose the very capable Lynn Vincent. A solid writer who shares a lot of Sarah’s philosophy. Something else, unlike many, especially politicians and celebrities, Sarah and her publisher were up front about this deal. Everyone knew from day one who Sarah chose for this project. Here’s the thing, and this also explains how this book came together so fast. As we all remember, when announced, the book wasn’t supposed to be out until the Spring of 2010. The book was done so far ahead of schedule because, for all practical purposes, Sarah has literally been writing it all of her life! You see, Sarah is one of “those” people who has kept a daily journal for most of her life. 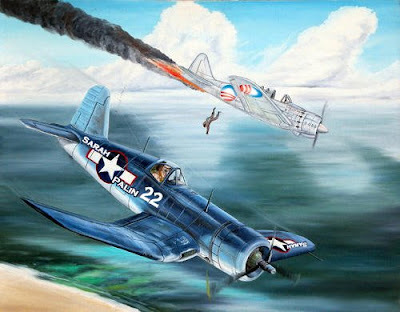 Back in earlier days, many folks did this. It was a habit they got into at an early age, and stuck with. President Ronald Reagan was also someone who kept journals. Sarah is simply following that old tradition. At any rate, Sarah’s book is based on these journals. I understand she kept these journals during the 2008 campaign. That will make for some interesting reading, for sure. It also explains why Steve Schmidt (the Bob Shrum of the GOP) and Nicole Wallace, the two McCain campaign turncoats are running for cover! So you ask, what does this have to do with the liberals and communists? (Again, pretty much same thing these days) And why should they “think long and hard” before talking their usual nonsense about Sarah’s book? Well, one of the things that was whispered during the 2008 campaign, but not covered by the fringe, Obama media was the fact that Barack Obama didn’t write his big “literary masterpiece” that has been heralded by the left as the greatest piece of writing eveh! Of course, that is nonsense on many, many levels. Now the fact that Obama didn’t write his book is a minor thing, at best, a “who cares” kinda thing. Maybe a “he lied!” kinda moment, but my God, we already have hundreds, if not thousands of those “he lied” moments from Obama, so this will just get lost in that sea of lies! The real problem for liberals and communists (yeah, I know) is WHO wrote the book. And all of the other Obama lies this knowledge unravels. “My involvement in this occasionally harrowing literary adventure began in July 2008, entirely innocently. A friend sent me some short excerpts from Dreams and asked if they were as radical as they sounded. I bought the book, located the excerpts, and reported back that, in context, the excerpts were not particularly troubling. But I did notice something else. The book was much too well written. I had seen enough of Obama’s interviews to know that he did not speak with anywhere near the verbal sophistication on display in Dreams. 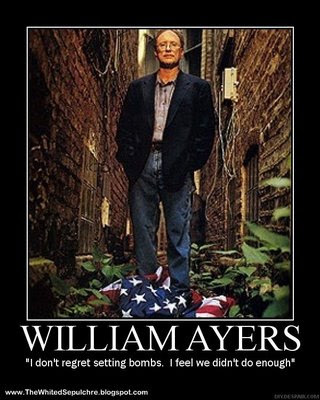 That’s right, Cashill is talking about unrepentant murdering domestic terrorist, William Ayers, co-founder of the ultra-violent Weather Underground, a violent group that spent several years going around the country blowing stuff up and trying to overthrow the government. They actually declared war on the United States. 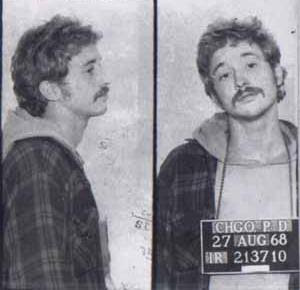 Ayers set bombs in the Pentagon, the US Capitol Building, and NY City Police Headquarters, just to name a few. Cashill has a whole collection of articles on this that you really must read, here. Oh and Obama’s “literary genius” well, let’s just say that as big of a bumbling fool as he is without his beloved teleprompter to feed him the words to say, he’s worse without his terrorist buddy to write those words for him! Here is an example of Obama’s “literary prowess.” This “poem” is from his undergraduate period and is hilariously titled (in context) “Underground.” I kid you not! Their fangs, dance . . . But this just opens the doors to more and more of Obama’s lies. 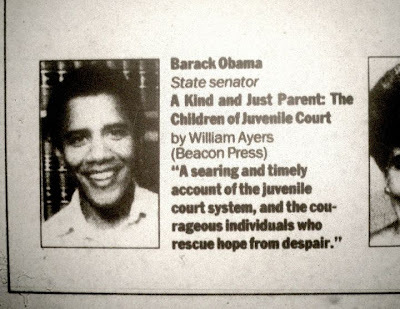 Ayers wasn’t just “some guy in the neighborhood” he was one of Obama’s closet mentors after Obama left home in Hawaii. 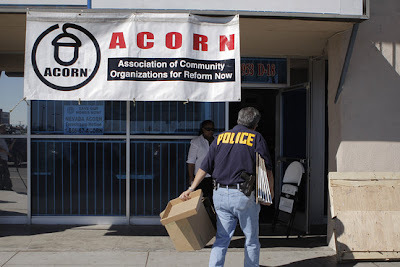 This also brings Obama’s massive ties to ACORN out in the open. Obama claims to have once been their “attorney” in a voter fraud case. (Yeah, shocker, like voter fraud isn’t ACORN’s # 1 business) This of course was a lie on Obama’s part. 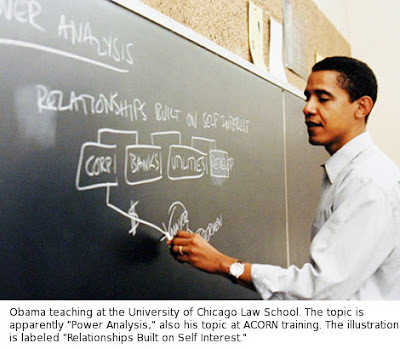 Obama was a trainer for ACORN. If there are any liberal/democrat/communists still reading this, stick with me to the bitter end,. Because the question of WHY you should think long and very hard before going after Sarah Palin and her book will be revealed at the finish. Terrorist Ayers’ gig is teaching teachers and writing books on “education” all the while infecting an entire generation of educators with Marxist theory and anti-Americanism. Stanley Kurtz, Senior Fellow at the Ethics and Public Policy Center has written extensively about the Obama, Ayers, ACORN connections. He has built a portfolio of articles about this. These too are a must read, which you can do here. You simply cannot mention ACORN without mentioning Obama. ACORN is now being investigated by many levels of government, from state and local, to federal. 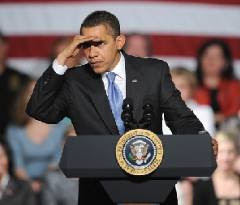 When all of this comes to a head, things will not end well for Barack Obama, or his failing presidency. 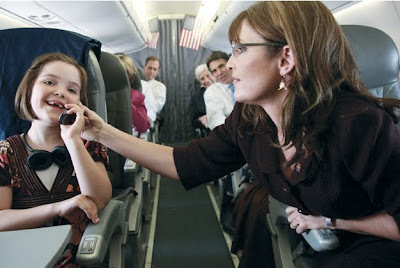 Remember when Sarah went after Obama on the campaign trail for “pallin’ around with terrorists?” Well, even she may not have known the full extent of just how right she was. You see, murdering terrorist William Ayers was not the only Weather Underground terrorist that Barack Obama is intimate with. 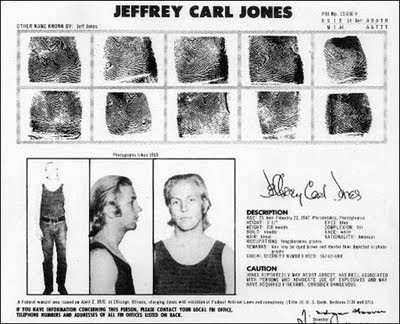 We have found that Weather Underground co-founder Jeff Jones and Obama have very close ties. We have found that Jeff Jones helped write a significant portion of the $1 trillion failed stimulus package that Obama foisted on America through trickery and deceit. You see Jones, like Ayers, realized he couldn’t destroy America and turn it into a communist Utopia by blowing it up. So Jones joined the so called “green” movement, and along with others co-opted the environmental movement, turning it into a vehicle to usurp the United States Constitution, and “back door” communism in the name of “saving the planet! Jeff Jones is a member of the radical Apollo Alliance. BTW, so is Obama’s departed “Green Jobs Czar” Van Jones, who was forced to leave recently. 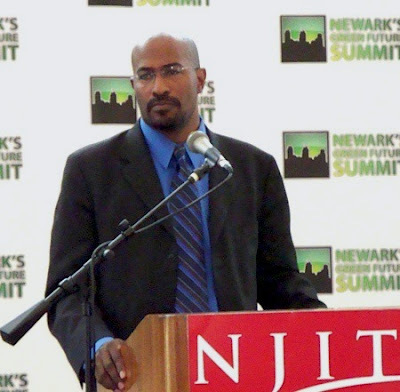 Like terrorists William Ayers and Jeff Jones, Van Jones is a radical communist (self avowed) and an anti-American, anti-white, trouble maker who jumped aboard the “green” movement seeing it as the perfect vehicle to use for his plans. Think about it. Take a bunch of young idealists, already infected with Marxist (communist) teachings, thanks to the teachers William Ayers helped along, and prey on their hopes and dreams. Use their laudable goal of a cleaner world, and corrupt it with your anti-American, anti-capitalistic rhetoric, and voilB (!) you have a ready made army of wrongly educated environmental zombies to do your bidding for you! Now I know this sounds like a bad plot from a James Bond type movie, but unfortunately this is reality here in America! You throw in George Soros, the evil multi-billionaire and former Nazi collaborator, who is a real life Ernst Stavro Blofeld, and the self proclaimed “owner” of the democrat/communist party, and Barack Obama’s puppet master, and the picture starts to come together. While it may have been different at one time, it seems clear that Barack Obama is “Number One” in this Bond screenplay, and people like Ayers and the Jones are bit players like “Odd Job” or “Jaws.” I ‘ll leave that casting to your imagination! 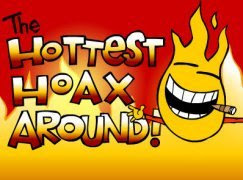 We’ve written about these connections before, and there is no greater example of the communist’s use of the “green” movement to destroy America as we know it, than the California water situation, that you can read about here and here. The communists are using the excuse of a two inch minnow to shut off the water to almost one million acres of prime California farm land. Land that has literally fed the nation with fresh fruit, nuts, and vegetables for generations. This has led to unemployment numbers of over 40 percent, and created thousands of new people dependant on government handouts for survival. It’s also forced the United States to import billions of dollars worth of produce from foreign nations, re-distributing America’s wealth to poorer countries, a classic communist goal. The communists use the same tactic on oil. We are not allowed to explore for oil in our nation anymore. Instead, we re-distribute somewhere between $700 billion and $1 trillion American dollars to other nations, sending serious treasure to many nations who not only hate us, but actively work against us on the world stage. Why we do this is mind boggling. We have more oil than the Middle East, a century’s worth of clean natural gas, several hundred years worth of coal. And with our technology, we could have used the so-called stimulus dollars from the bill that terrorist Jeff Jones helped pen, to build 30 or 40 nuclear powerplants, and fix two problems. Nuclear is as clean as it gets, and cheap too. So imagine our surprise when we found out that only a few days after George Soros bought controlling interest in Brazilian oil company Petrobas, Barack Obama “loaned” Petrobas $10 billion dollars of taxpayer’s money! Evidently it’s fine to destroy another nation’s ecology, especially if it will make your evil master even wealthier! Sarah Palin was right there to call Obama on this bit of chicanery too! But, as always, the fringe Obama media, which has become nothing more than house organs for Obama and the democrat/communist party failed to do it’s job! Still with me liberals? Communists? So far we just talked about Obama’s first “ghostwritten” book. 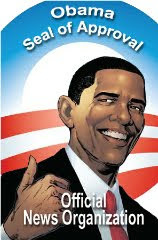 Of course, Obama, literary genius that he is, “produced” a second tome, “The Audacity of Hope” a thrown together piece that was obviously created to cash in on all of the hype surrounding Barack Obama at the time. This book claimed to be based on a sermon shouted by Obama’s racist, hateful anti-American “preacher” of over twenty years, the “Reverend” Jeremiah Wright. Jack Cashill who again has done yoemen’s work on this story reveals that “The Audacity of Hope” is more of a collaboration than just a “ghostwritten” book, but not a collaboration with Obama and a writer, but more of a collaboration salad of speech writers, seemingly headed by Jon Favreau. Of course, just as terrorist Ayers is not credited with “Dreams” (for obvious reasons) Favreau isn’t credited for his contribution. You can read Cashill’s report on book two here. Now liberals, communists, fringe news media, hate bloggers over at the Huffington Post, and whoever, here’s the deal. 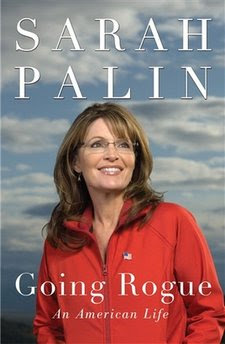 Sarah Palin was up front and honest in her presentation of her new book, “Going Rogue, An American Life” from the minute the project was announced. On the other hand, Barack Obama’s entire life, his entire public persona is built on one fantastic lie after another. Barack Obama has spent a lifetime marinating in communism and anti-American hatred courtesy of his mentors and friends. Barack Obama has assembled a government of like minded communists, Chicago street thugs, and other assorted anti-American, anti-capitalist, anti-freedom, and anti-liberty radicals. The American public has already turned on Barack Obama, and communism. They have awakened and realized they were lied to, big time. They are not pleased at all. They are ready to not only throw all of the democrat/communists in Congress in 2010, they have had their fill of Barack Obama. For every one of your jabs, and hate filled stories lying about Sarah Palin, there are going to be a dozen stories like this one exposing Obama for the radical, psychopathic liar that he is. As America sits around the breakfast table in the morning, and the dinner table at night, this story and dozens like it are going to be on the menu on a steady basis from now until Obama is finished. So smear away at Sarah Palin at your own risk. We are not going to let those smears go unanswered. 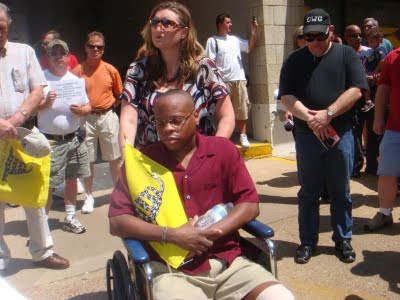 Just as Barack Obama told his thugs from SEIU to “punch back twice as hard” before they beat black man, Kenneth Gladney, so hard at a townhall meeting that he had to be hospitalized. We are going to “punch back” ten times as hard. Not with our fists, but with our pens, and with the help of tens of millions of Americans who have had all they are willing to put up with.